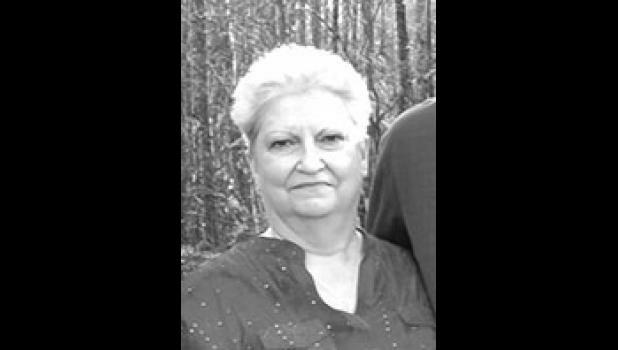 Kathy Faye Kirby Anders, 62, went home to be with the Lord on March 9, 2018. Surviving are her husband, Samuel “Sonny” Anders, of the home; one son, Jason Bryan Anders (Elizabeth), of Columbia; two brothers, Lloyd Kirby (Kay), of Gowensville, and Kenneth Kirby, (Peggy), of Crested Butte, Colorado; one sister, Linda Kirby Underwood, of Greer; and one grandchild, Rowan Anders. Funeral services will be held at 2 p.m. Wednesday, March 14, 2018 at The Wood Mortuary conducted by Dr. Drew Hines and Dr. Robert Crisman. Burial will follow in Hillcrest Memory Gardens. Pallbearers will be Jeff White, Steve Kirby, Matthew Kirby, Justin Kirby, David Springs, and Price Godard. Visitation will be 12:30-1:45 p.m. Wednesday at The Wood Mortuary. Memorials may be made to American Diabetes Association, P.O. 15829, Arlington, Virginia 22215.